Salvia leucophylla Bee's Bliss is a hybrid of a couple of California native sages. Salvia leucophylla Bee's Bliss is noted for spreading lower and more compactly than Salvia leucophylla Point Sal. Salvia leucophylla Bee's Bliss grows to 8 feet or more in width and stays with a foot to 18" in height. Salvia leucophylla Bee's Bliss is a great addition to the hummingbird garden as well as the butterfly garden and it is a great source plant for sage honey. Nectar feeders like the Painted Lady, Northern White Skipper, the Mournful Duskywing, Cloudless Sulfur, and the California Dogface Butterfly are regular visitors to Salvia leucophylla during the Summer months. 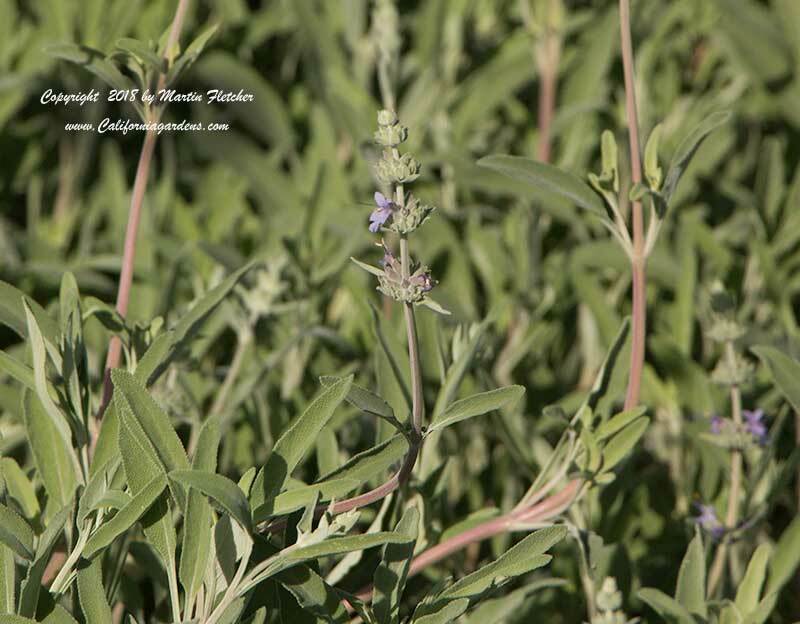 High resolution photos of Salvia Bee's Bliss, the Bee's Bliss Sage are part of our garden image collection.